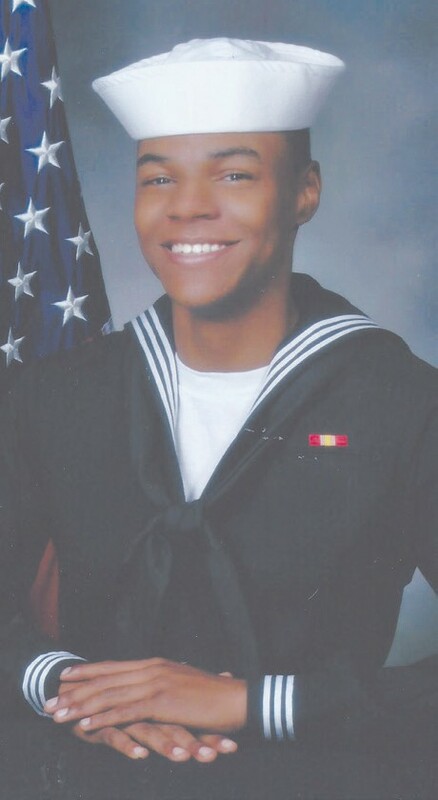 E2 Khalid R. Hunter, II graduated from the United States Navy Boot Camp at the Navy Recruit Training Command in Great Lakes, Illinois on August 7, 2015. He is a 2013 graduate of Alfred E. Beach High School and is the son of Khalid R. Hunter, Sr. and Shondra Cohall. He is also the grandson of Brenda L. Roberts. During the eight week program, E2 Hunter completed training and learned many valuable skills to become a sailor, which included: classroom study and practical instruction on naval customs, first aid, firefighting, water safety, and survival, shipboard and aircraft safety. An emphasis was also placed on physical fitness. He will report to “A” School at the Naval Air Station in Pensacola, Florida to learn the critical skill as an Air Traffic Controller.